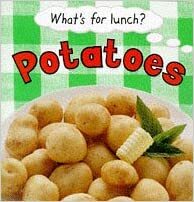 I like to start with a book called What's For Lunch...Potatoes by Claire Llewellyn. 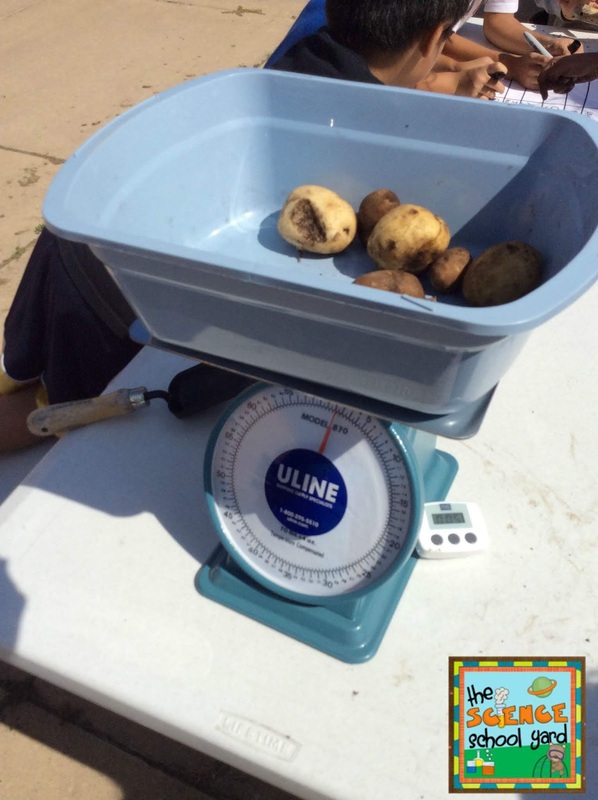 Planting Potatoes is a great way to show your students how their food grows. They can be easily grown in a garbage can or even a laundry basket! I first started planting potatoes outdoors six years ago when I got tired of the FOSS Plant unit planting potatoes in a cup, so why not create a school garden to extend our learning. What we found by planting a garden helped us realize that planting a seed is magic! Not only that, learning that food doesn't all come from a seed from a seed pack is pretty neat, too! Don't want to plant potatoes? That is okay, too. These lessons can be taught with a bag of potatoes from the grocery store. Want to extend the concept to connecting the Westward Movement and gold rush...keep reading because simulations are perfect for cross curricular activities and getting kids up and moving! 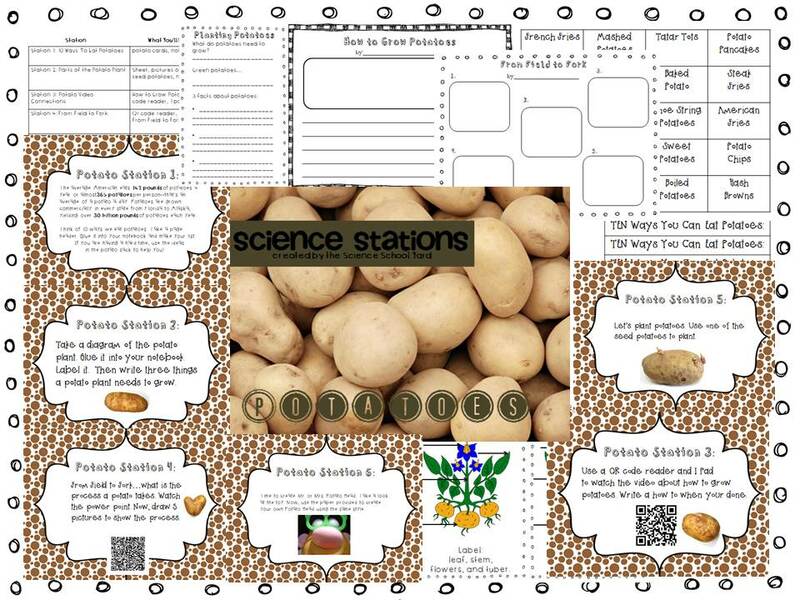 What do you need for an introduction potato activity? 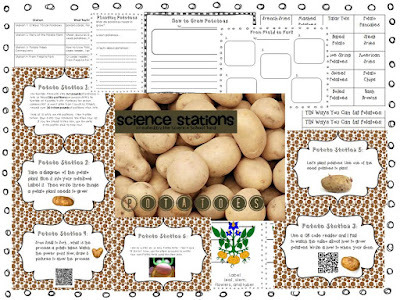 Seed potatoes and learning stations. Let's get growing! Next, you can show a little video that shows the process of how they can grow potatoes at home or at school. Have them learn about how food gets to our table by watching a quick video and then writing about it! 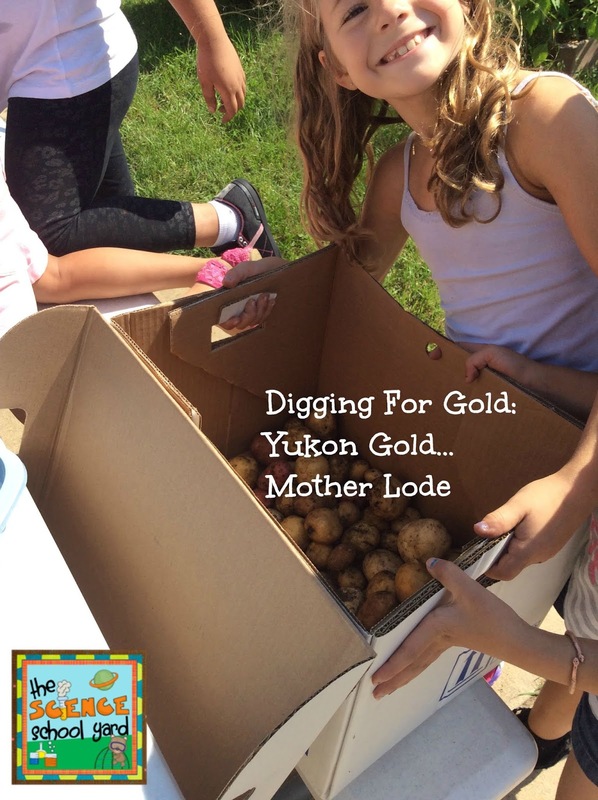 Another great way to add a bit of social studies to your lesson is to discuss where potatoes originated and what cultures eat potatoes at home as a staple food. Europeans typically brought their love of potatoes over and continued to eat them which is why some families eat more than others. We have a great discussion about what everyone's staple food is from rice to tortillas we learn a little bit about our heritage. Kids that finish my stations get to go and play Mr. Potato Head where I have one of my own children's favorite toy. If you don't have that, have kids make their own by looking at a Mr. Potato Head picture. Plant some potatoes in a bucket and let them sit until Fall! This is a great way to continue a project that another class started. You can have the planters write letters to give clues as to what is in the bucket or better yet they can go gold mining! Want to give a simulation a try and then connect engineering a wagon and prospector's tool...this pack is for you! 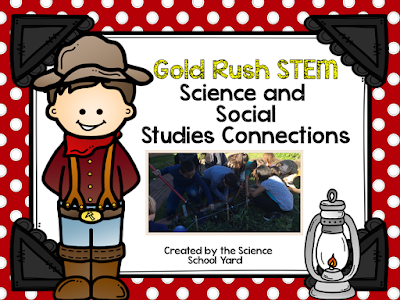 Grab the STEM Gold Rush Science and Social Studies Connections HERE! One potato...two potato...three potato...four, learning about potatoes can be fun and so much more!